There are many games based on the administration of the empire, inspired by history books, and generally deal with medieval Europe or ancient empires such as Rome or Egypt. Game of sultans, however, puts you in the position of sultan of the mighty Ottoman Empire, one of the last empires that existed in the modern world, reaching even into the 20th century. In Game of Sultans, you will be managing the empire from its beginnings and up to the top of its strength. Will you be the Sultan that all your people will remember for centuries after your death, or will your reign be quickly forgotten in the turbulent tides of history? It is up to you to ensure the former while skillfully navigating through every aspect of being a Sultan, including war campaigns, managing viziers, obtaining resources, perfect couples and obtaining heirs and allies with neighboring rulers. . It can be a pretty daunting task, especially if you’re not used to games of this style. 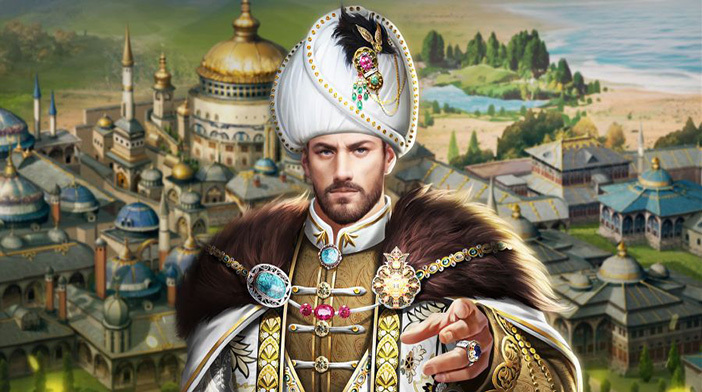 That is why we have prepared a complete guide of tips and tricks that you can use to improve your performance as ruler of the Ottoman Empire. Keep reading! This seems intuitive and logical, but it is critical to succeed in Game of Sultans. The more time you spend in the game and the more you click, the more you can get out of it. The game rewards you for coming back to him, and you will be on your way to becoming the Sultan that all citizens expect if you remain attentive and attend to the needs of your empire. This means completing your missions as soon as they appear, successfully winning your campaign battles, obtaining all the small bonuses you can get in your Imperial Palace, such as those given to you by the fortune-teller and complying with every small offer offered by the game, in order to get that advantage. Every other tip in this guide can be seen as a corollary of this, so keep that in mind. Level up you have a variety of new abilities, including unlocking some of the palace facilities like Masquerade, where you can meet your potential love interests, or the Arena, where your trusted Viziers will help you in PvP combat. However, the biggest benefit of leveling up is the increase in taxes in your Imperial Parliament, which allows you to more quickly gather Wealth, Grains and Soldiers. As this is a game of military expansion, it is very possible that your number of soldiers is greater. One of the most important factors in deciding your success, so you want to keep this number as high as possible. Leveling can be done in several ways, including completing field battles, using the XP increases in your inventory, which you get at certain intervals, as well as choosing the “No” option in Imperial Affairs. These issues usually involve a good Wealth, Grain or Soldier bonus as an option, or a couple of XP points as the other. Being a self-sufficient Sultan and decreasing additional resources increases your XP, so choose this option if the additional resource is not urgently needed at this time. This can be more useful in the long term and lead to more resources than if you only take the extra. Speaking of imperial affairs, that brings us to the next council. A council based on Council # 0, which is to keep coming back to the Imperial Parliament to consult with Ahmelek and Hocas. The first keeps your Levies under control, so you’ll want to go to him to get your resources as fast as they accumulate (when you upgrade to Grand Sultan I, you’ll have the option of self-charging, but until then you’ll want to keep clicking ). The latter keeps your imperial affairs under control, which we have already discussed, and new problems and questions arise regularly, so you’ll want those bonuses as fast as they come. A good sultan is in constant contact with his viziers, which brings us to the next council. Your viziers are among the most important people in your kingdom, and they help you execute and expand your domain immensely. Viziers have 4 skills in Military, Research, Politics and Prestige, but each Vizier specializes in only one of them, which can be seen by the appropriate icon that shines on their profile page. The skill points in this category will also be the highest, so you can easily know which Vizier has what specialty. You will need your viziers in your military expansion, since they are the ones who overthrow the enemy generals and gain territory for you, so you will want the viziers with a strong military capacity. 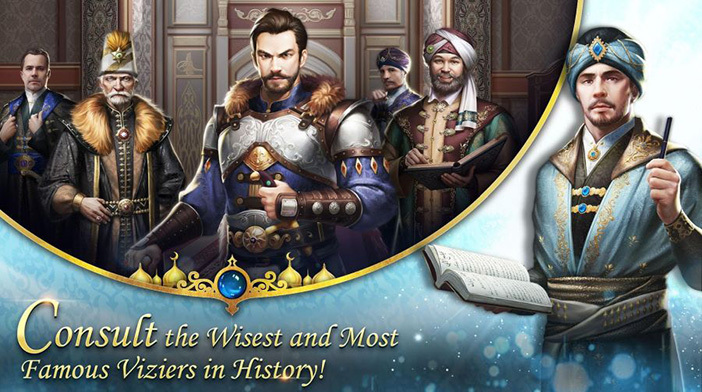 In fact, military skill seems to have the greatest impact on your empire, so you may wish to prioritize the Viziers who excel in this category, such as Veli, Fazil and Hadim. It is better to have a smaller number of highly trained Viziers compared to a larger number of mediocre ones. At the beginning of the game, you may want to have only one or two main viewers in which you spend all your gold levels, and then move on to four more when the campaign missions start asking for 6 or more high-level sights. The education of your viziers is also crucial, so keep them busy at the Academy as much as you can. You may even want to unlock an additional space in the Academy so you can send two viziers at a time to study. 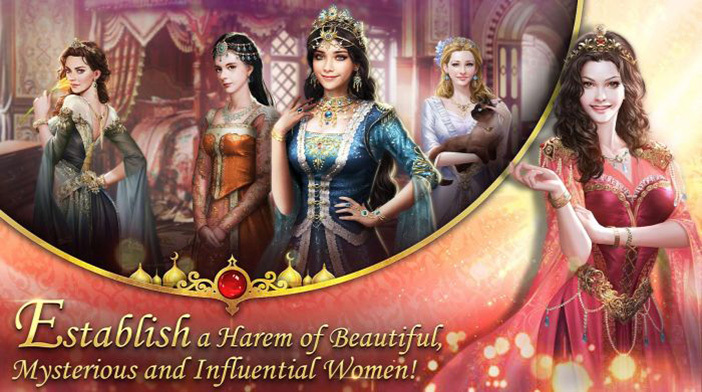 A good Sultan is desirable and strong, so you will have many wives in your Harem , and those wives will give birth to many strong heirs to further solidify the empire with strategic marriages. You get a Consort from the beginning, but as you continue playing you can unlock many more, either in the Masquerade or for purchases. In addition to affecting your viziers, the main role of Consorts is to help boost the statistics of your empire by giving you heirs. However, not all heirs are equal, however much you love them all for being your children, some are rarer and better than others. The rarity, and therefore the statistics, of an heir depend on your level of intimacy with the consort that stops them, so you’ll want to have them organized to give you the best chance of getting the best possible Heir. Contrary to the advice on Viziers, you will want to expand the level of experience in all the Consorts, since you only receive visits to the Harem at random and you never know which Consort will accept your wishes. Unless, of course, you pay the diamonds to choose which Consort you are in, but that is not sustainable in the long run unless you like to spend money unnecessarily. The consorts also have an enchantment statistic that influences their XP, which in turn influences the Visir with which it is associated. As mentioned in the Viziers section, you will want to keep your most important Consortas in XP to grant the biggest bonuses to your generals. The heirs, on the other hand, are useful to increase the statistics of your kingdom and, when they reach adulthood, solidifying your relationships with other kings by marriage. This marriage is actually for an heir of another real player, and not for an AI, so you are interacting with other powerful sultans. Finding a suitable combination for your heir can be difficult and expensive, but in the long run it will be worth it. These are scheduled events and are not available at will, so again we go back to Tip # 0. The more you play, the higher the probability that you find the Terrains or the Siege available. Or you can simply memorize or write when they are open, and log in at that time to make use of these options. Here you can win some objects and extra objects for you, your viziers, heirs and consorts. In short, to be a better player of Game of Sultans, you should know everything you can. Read guides like this and play continuously is an excellent start, and although the game has a steep learning curve with a lot of information to assimilate, once you start rolling the ball, you can quickly begin to skillfully manage your empire. . Come on, Sultan, make your empire known throughout the world! What’s in your bag, Krewella?